I love these Grape Hyacinths. They are really cool looking. I also love the purple and blue color they are. These heart looking leaf things look cool. I like how they are shaped into broken hearts. Which picture was your favorite? 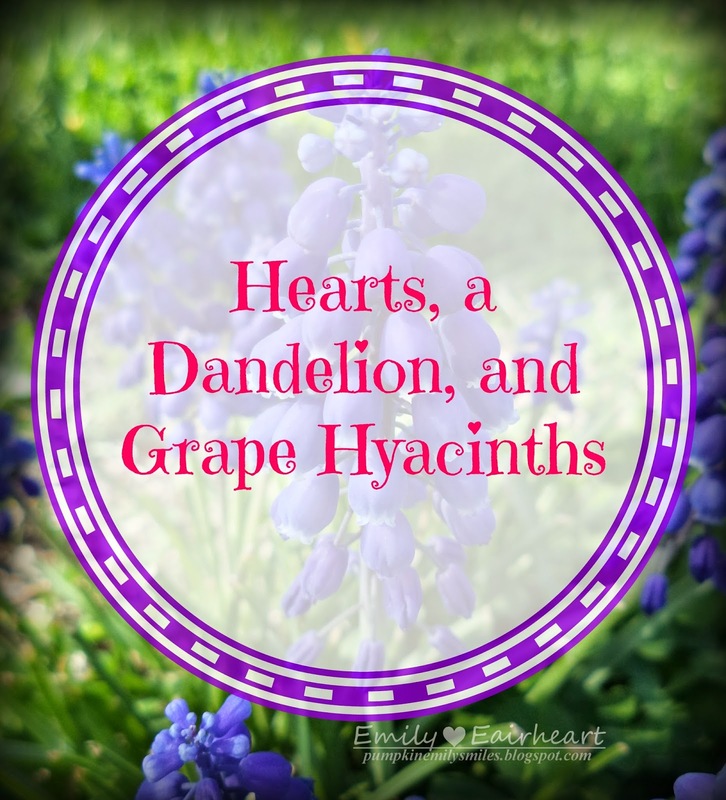 I think my favorite pictures are of the Grape Hyacinths and the Dandelion.